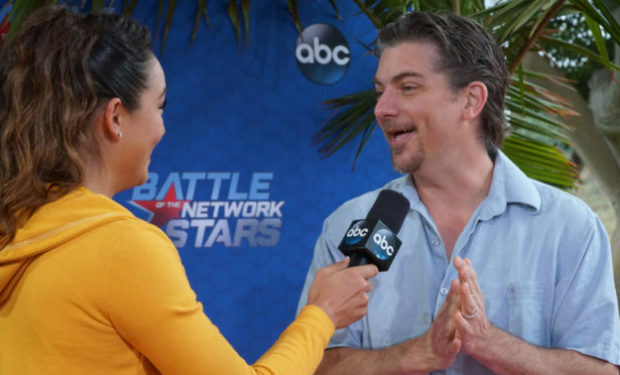 Who Is Former Child Star Jeremy Miller on Battle of the Network Stars? Five former child stars from the 1970s and 1980s are competing together against TV moms and dads on Battle of the Network Stars. The moms and dads include Jackee Harry from Sister, Sister and Ted McGinley from Hope & Faith and Married with Children. The child stars including Jimmy Walker (JJ on Good Times), Mackenzie Phillips (Julie on One Day at a Time), and Jeremy Miller. Jeremy Miller, now 40 years old, is best known for his role as Ben Seaver, Alan Thicke’s young son, on the sitcom Growing Pains. Prior to Growing Pains, Miller provided the voice of Linus van Pelt on two Peanuts TV movies including Happy New Year, Charlie Brown! According to his Twitter account, Miller now keeps busy catering for film sets and private events. Battle of the Network Stars airs Wednesdays at 8pm on ABC.